Recently Samsung unveiled the 2018 refreshments of its television range in India with QLED TVs, UHD TVs and budget Concert lineup to confirm that big-time television players are gunning toward high-end devices than rely on budget or mid-range segment TVs to push their revenues. 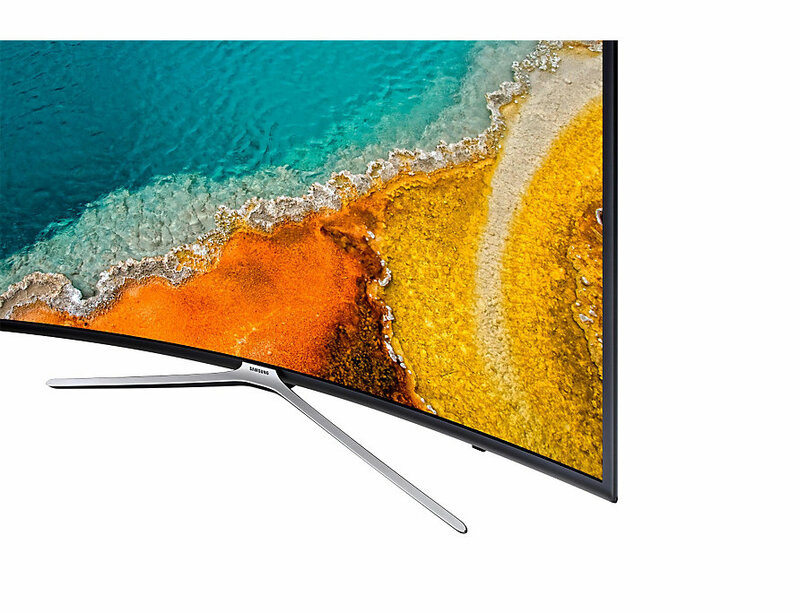 Not only did it expand its elite TV lineup, Samsung also announced price cutting of its older models of TVs so as to not lose potential fans from switching over to the newest player in the market - Xiaomi. Having already disrupted Samsung’s smartphone market around the globe, Xiaomi has been a major reason in the market shift in the television business as well. 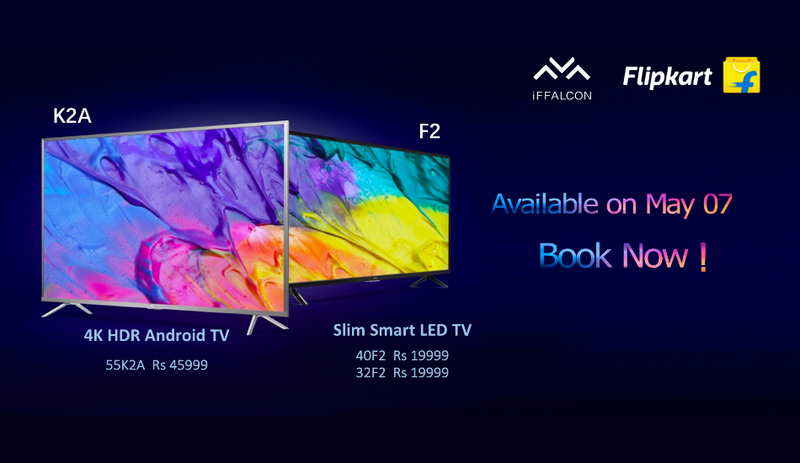 With the rapid success of the Mi TV 4 in India, the market has seen an influx of a slew of Smart TVs from previously unknown brands among TVs who are turning on the heat on India’s Rs 22,000 crore TV business. Samsung claims to have as much as 30 percent share in the Indian market as a whole. The main reason for the company’s market holding has been its 55-inch mammoth TVs which occupy 37 percent of the business in its segment. While the company along with LG and Sony still dominate the television market in the premium segment, an eerie cloud is looming over their heads as lesser-known brands like Thomson, TCL, Kodak, Vu, and Daiwa have entered the market, offering similarly priced TVs to Xiaomi’s Mi TV lineup. To get more of an understanding of how Samsung’s budget TVs fare in the market, we’re listing five of the best Samsung selling TVs under Rs 45,000. Matching them up with the current line of budget TVs from other players in the market might just reveal how Samsung hasn’t learned from its mistakes in the smartphone industry and continues to remain a mere leader among the high-end segment; this giving away its unparalleled loyals to newer entrants. The 40K5100 from Samsung features a 40-inch Full HD display that spans a resolution of 1920 x 1080 with an almost bezel-less front if not for the irritatingly large chin at the bottom. The Smart TV weighs in at a little over 8 kgs with 7.8 cm on the thickest edge, all of which provides the TV with a 16:9 aspect ratio. There’s a Wide Color Enhancer with a 60Hz refresh rate that offers a vivid and immersive experience from the LED panel. Samsung has employed dual speakers powered by Dolby Digital technology that results in a good stereo audio experience, totalling as much as 20 watts at max. Wallmount Sound Mode enables you to adjust the speakers when the TV is mounted on the wall while the DTS Codec further improves the audio clarity. On the connectivity front, the 40K5100 comes with a USB port as well as two HDMI, one RJ45 Ethernet port to connect to the internet and a 3.5mm headphone jack for connecting external speakers and headsets. While the TV doesn’t include a mere WiFi connection, Samsung offers to let you view your photos and videos from your smartphone on the TV via wires, like that was futuristic. 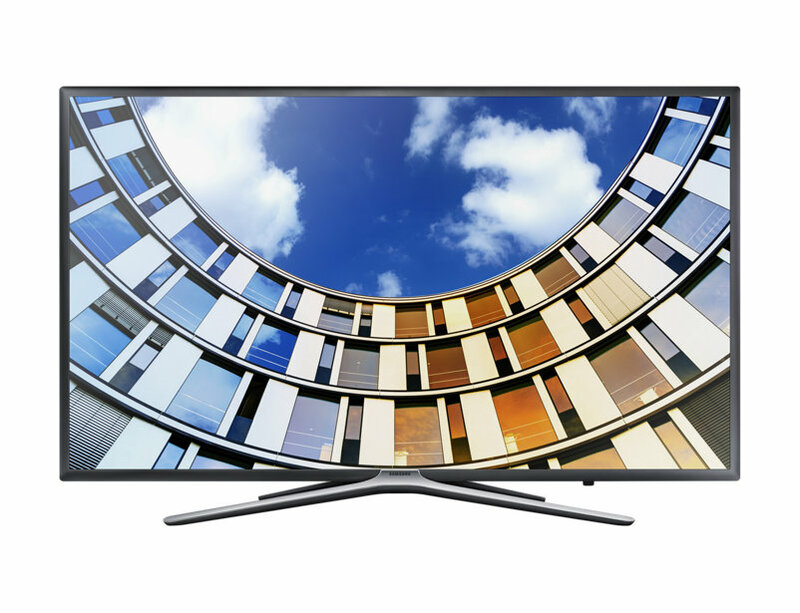 The Samsung UA43M5570 is a 43-inch Full HD LED TV with a resolution of 1920 x 1080 pixels slim bezels on all four sizes, housed on a Quad-legged stand. 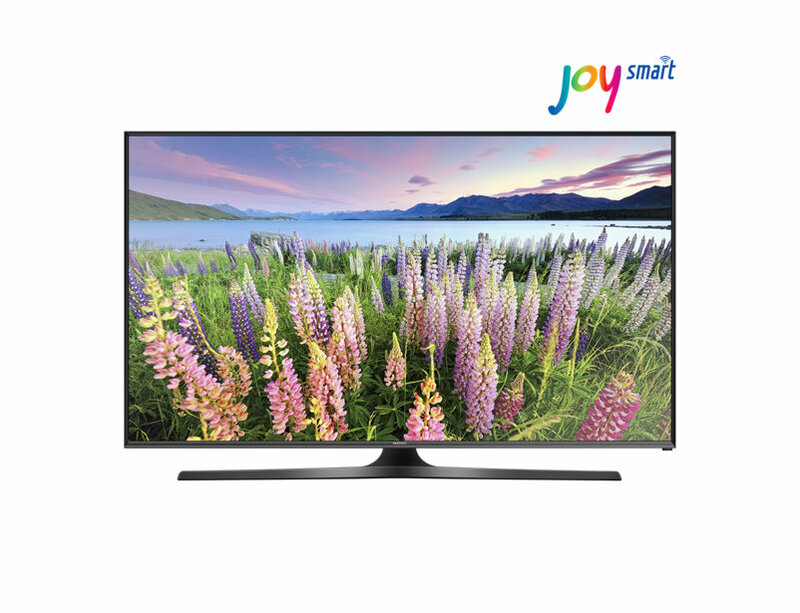 Weighing in at 10.5 kgs, the Smart TV measures just 55mm on its thickest end and features picture quality index of 800 with screen micro-dimming, wide colour enhancers like its older counterpart, a contrast enhancer and Auto Motion Plus for consistent viewing. 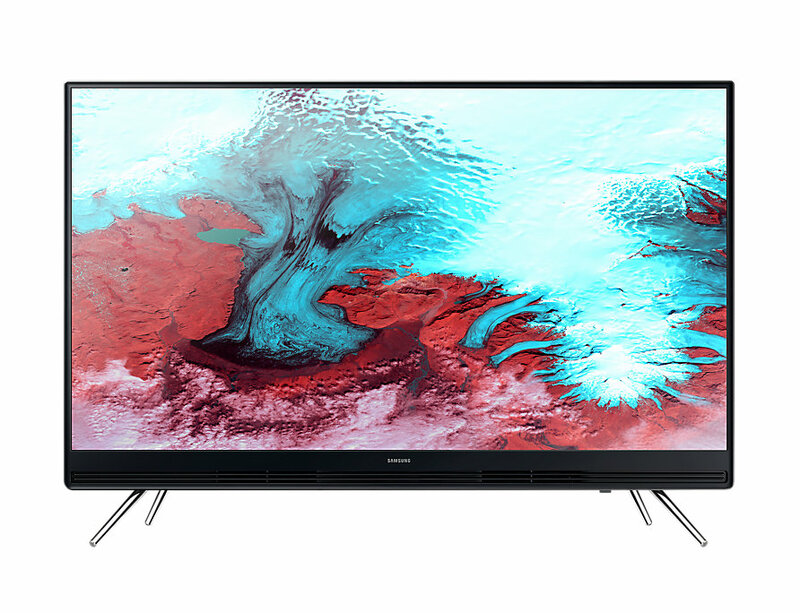 The UA43M5570 as expected comes with Smart TV capabilities like an App Store which in this case is Eden and has support for Netflix, Youtube etc. There’s a Web Browser, TV to Mobile - Mirroring and back, DLNA, S-Share, Sound Mirroring and wireless dongle connectivity for LTE as well as WiFi. Audio is possible through a dual-channel down firing Bass reflex speaker that output about 20 watts at maximum and is powered by DTS Codec and Dolby Digital Plus. The Quad-core powered Smart TV also comes with a Learn TV Remote out of the box which can be accessed through voice interaction that supports up to 22 local languages and English. Other features include low energy Bluetooth connectivity, HDMI Quick Switch, support for external hard disks and an Instant ON mode. Samsung’s 43-inch K5300 Smart TV comes in a bezel-less Louvre design which blends with the surroundings through its Slim Edge technology. Powered by a quad-core processor, the K5300 comes with a large contrast ratio of 1000000:1 (Dynamic) and the HyperReal picture engine that pops out all the colours and deep blacks entirely. The K5300 features a Connect share technology that lets the TV access to external devices like an HDD, USB 2.0 devices with additional connectivity options including an HDMI port on the side, an AV input, Audio output, and RF input. There’s no kind of dongle support, so users will have to rely on a stable WiFi connection. The device’s Smart features include the Samsung Smart View, Mobile-TV mirroring, Sports mode, Auto highlight support and most importantly, support for apps. 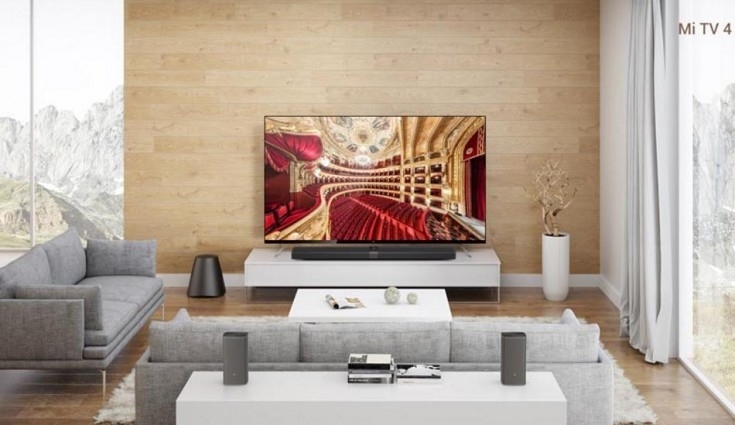 The LED TV also makes way for a picture-in-picture mode and a dual 20-watt speaker that is powered by Samsung’s SoundConnect technology and Multiroom Link. The 32-inch Smart TV from Samsung's Series 5 might be the smallest unit of the lot but the four-year-old TV offers just about the same functionalities as the rest of the TVs in the current television segment. The Full HD LED screen has a resolution of 1920 x 1080 offers a refresh rate of 100Hz and a contrast ratio of 16960:1 (Static). There are two bottom-firing 20W Base reflex speakers that offer support for Virtual Surround, DTS Studio Sound, DTS Codec Premium Sound in addition to the Dolby Digital Plus. Being the oldest in the lineup, the Series 5 still equips edge LED technology which doesn’t result in the purest of blacks but the display supports PiP mode and is powered by the HyperReal Engine. In the box, Samsung also packs in a Universal Remote Function which allows it to control third-party set-top boxes as well as BluRay players. There’s a built-in WiFi with internet connectivity also possible through a dongle and an Ethernet RJ45 port. The Samsung TV comes with an audio output, Digital audio output, a composite input, two USB ports, two HDMI ports and an RF input for cable in. Possibly the costliest and the catchiest unit in Samsung’s armoury is the 40-inch K6300 which offers 1920 x 1080 pixels on a gentle and bezel-less curved screen allowing a wider field of view without sacrificing on the uniformity of varying distances of the viewer. With the help of the HyperReal engine, Auto motion plus technology, and Wide colour enhancer, the K6300 provides a crisper display eliminating all the background noises to focus clearly on the subject at hand. Inside the TV is the improved Samsung Part Hub which gives users access to Live TV, OTT content, games with pre-installed apps like Hulu, YouTube, Netflix, HBO Go and Amazon Prime Video, all of which will be accessible through the built-in Wireless LAN connection. The ConnectShare app allows you to plug in an HDD or USB stick to watch videos or listen to music. The Curved TV has three HDMI ports, two USB 2.0 ports, dual 20-watt speakers with all essential connectivity and features from Samsung’s other lineups. While we had earlier compiled a list of cheapest 32-inch Smart TVs in the market, this time we’re looking at alternatives for potential buyers of Samsung’s budget TV lineup who have been caught in despair following the incoming storm of new TV brands that have entered the Indian foray recently. One thing to be noted is that all non-Samsung brands are offering a 4K display for the same price or even less, that you’d pay for the above mentioned Samsung ‘Smart’ TVs. While some of them might not have the same esteemed branding as Samsung in the TV business, we can expect a massive gap in the features that are on offer. Let’s get to it. The 50-inch 4K UHD SMART TV from Kodak is the one of the cheapest of the lot and comes with a screen resolution 3840 x 2160 pixels along with A+ display panel made by Samsung, which needless to say is a pure mockery for the South Korean firm. 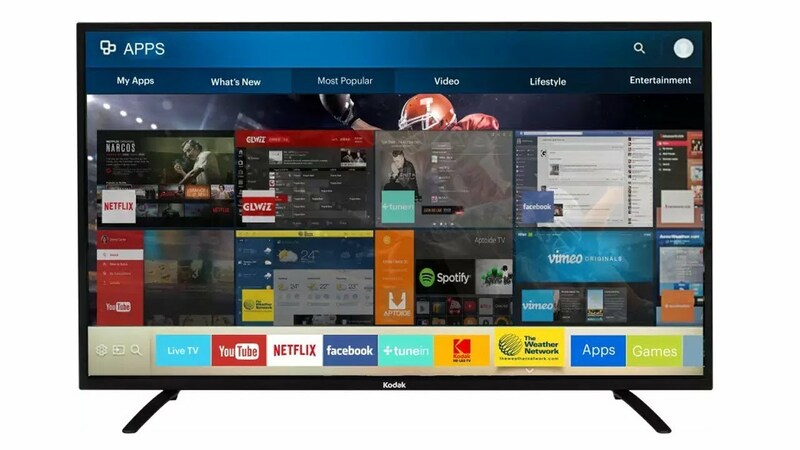 Not just that, the Kodak TV, powered by a 1.4Ghz dual-core processor, boasts High Dynamic Range (HDR) through which images become sharper and deliver vivid colours for the better viewing experience on the large 50-inch display that even the most expensive Samsung TV in the list couldn’t offer. There’s 1GB of RAM and the TV comes with an internal storage of 8GB and a special remote, which has dedicated buttons to YouTube, Netflix, and Hotstar. 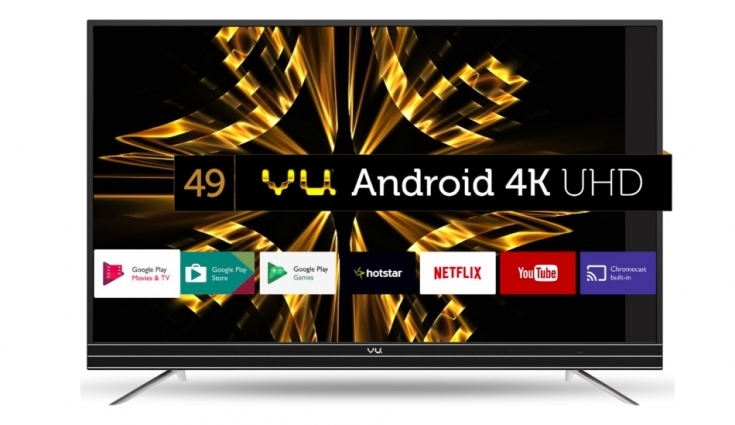 The 4K TV, being cheaper than the cheapest Samsung TV listed here, runs on the Android operating system and comes loaded with Aptoide TV app store, which is optimised for users to download their favourites. In addition to the dual 10-watt speakers that deliver rich sound, the TV offers different modes as well including Standard, user, music, movie, and sports. Furthermore, the TV comes with LAN connectivity and one can also screencast your mobile devices to the television. 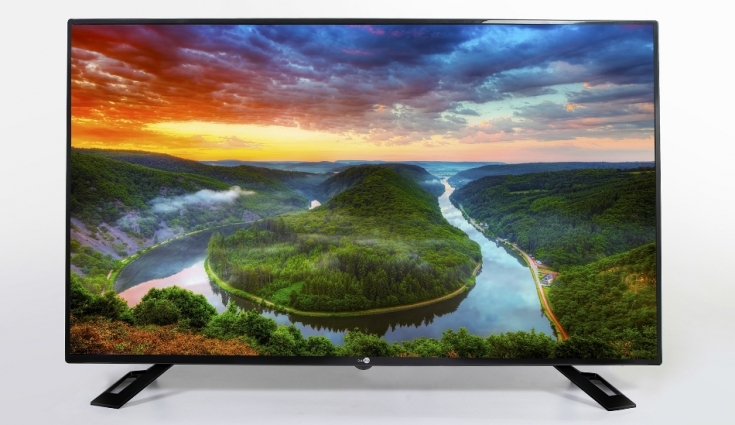 Technicolor-owned television brand Thomson made its re-entry to the India market earlier this year with its Smart TV lineup that was spearheaded by the 43-inch 4K UHD TV that offers a resolution of 3840 x 2160 pixels on an LG-made panel. The Thomson TV is powered by a 1.4GHz ARM Cortex CA53 processor along with Mali-T720MP5 GPU and is backed by 1GB of RAM and 8GB of internal storage. The French company recently announced their new MyWall UI which will be loaded on to the TV on top of the Android 4.4 KitKat, which it first came pre-installed with. To rival others in the market, MyWall will offer a new bundle of applications for a larger content library and live TV including Gmail, YouTube, Twitter, Facebook and Netflix and Aptoide App Store. Users can not only stream videos and watch TV but also order food and other items from Zomato and Big Basket while playing something in the background. Being the most inexpensive device on the list, the Thomson TV doesn’t run out in basic essentials and comes with 2x10W speakers, LAN, WiFi, two USB, an SD card reader, 3.5mm headphone jack and HDMI connectivity options. The 42SU128 from Mumbai-based manufacturer Vu is a 4K Ultra-HD display with the resolution of 3840x2160 pixels, which the company claims to bring with it dynamic contrast, high bright mode, pixel mapping and a wide viewing angle. The Android TV is powered by a Quad Core Processor with a massive as a smartphone 2.5GB RAM and a more than adequate 16GB Internal storage. Boasting of Dolby Digital tech inside, the TV offers a dual 10-watt speaker for an audible sound output. The Vu TV runs on Android 7.0 Nougat and comes pre-loaded with applications like YouTube, Facebook Video, Sony Liv, ALT Balaji, Netflix, etc. There’s a minimal 11 button setup on the primary remote control which is voice activated like the remote on the Amazon Fire TV. There’s also a standard remote for users who aren’t well furnished with the idea of technology which is quite thoughtful of Vu to do. The built-in Chromecast feature allows users to share smartphone content on the big screen while further connectivity includes Bluetooth, WiFi, infrared control, three HDMI ports, two USB, 3.5 mm Headphone jack, HDMI ARC/CEC, and Ethernet. 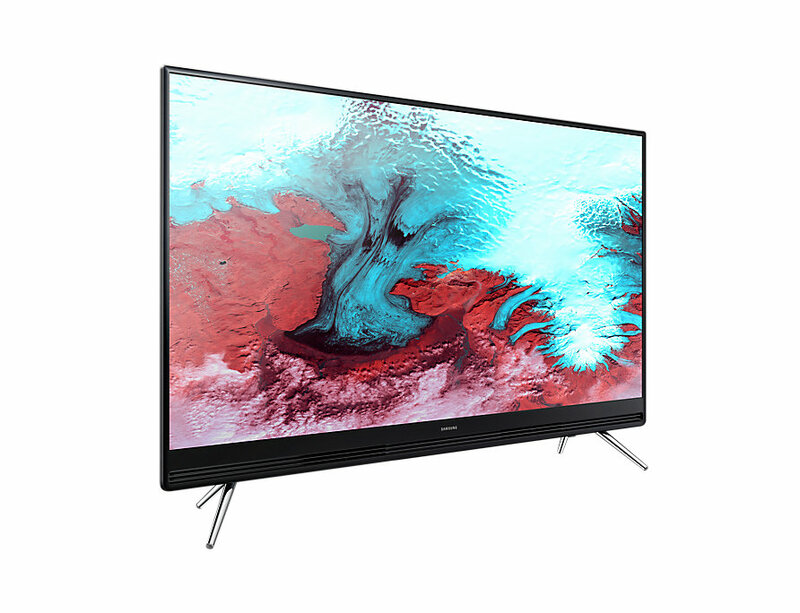 The D55UVC6N from Daiwa is probably the cheapest 55-inch 4K TV out there, packing screen resolution of 3840 x 2160 pixels and a large colour gamut of 1.07 billion colours. The TV comes with an additional feature that allows users to rotate their screen to 36-degrees for a wider and flexible viewing angle. Powered by a 1.3GHz Cortex A7 Dual Core, the D55UVC6N comes with 1GB of allocated RAM and 8GB internals, adequate for downloading apps and streaming content when offline. 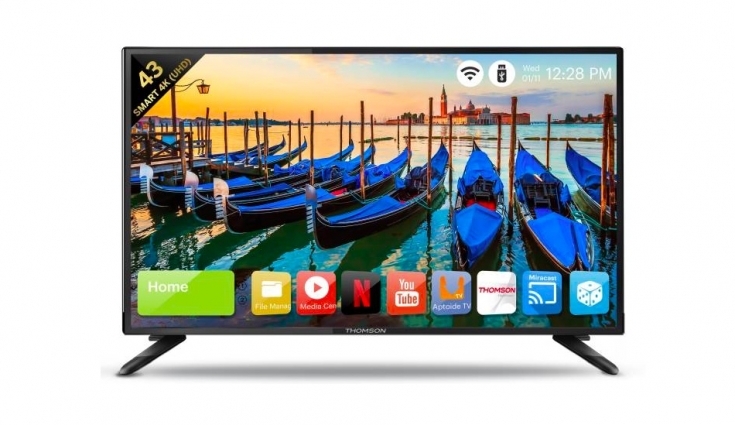 The Daiwa TV comes packed with an Android 4.4.4 optimized firmware that provides a wide variety of content from several apps that are pre-loaded. The included remote will offer precise control with the help of a mouse that’s built in and has dual IR lenses to improve its usable range. The TV is equipped with two USB ports, three HDMI ports and an Ethernet port for connecting to the internet. Furthermore, users will be able to mirror their smartphone screen on the TV using M-cast, Eco Vision to reduce power consumption, and Power Audio for enhancing the audio experience for an immersive viewing. TCL’s new iFFALCON 55K2A is the most expensive Smart TV on the list but they do so with additional sets of features. The 55-inch 4k UHD display comes with a screen resolution of 3,840 x 2160 pixels, Micro Dimming technology and white LED HD backlight that enhances the colour gamut and provides dynamic colour contrast. Powered by a powerful quad-core CPU and dual-core GPU, the 55K2A is backed up by 2.56 GB RAM and 16GB internal storage. The TV runs on Google’s Android 7.0 Nougat with a slew of entertainment apps built right onto the device including the likes of Hotstar, YouTube, Netflix, YuppTV, Google Play Movies & TV, Eros Now, and Voot. There’s also support for downloadable apps from the Google Play Store. The TCL TV equips Vu-like Chromecast feature allowing you to mirror your smartphone screen right on to the TV. There’s Dolby 5.1 Surround Sound and advanced DTS post-processing technology to ensure sound quality which rivals a top-of-the-range stereo system. A Smart Volume feature automatically adjusts the volume to eliminate sudden sound fluctuations typically experienced when switching channels. Probably the most talked about product in the television business lately is Xiaomi’s first foray into Smart TVs - the Mi TV 4 which paved way for other small-time manufacturers to open shop in one of the largest consumer electronics market in the world. Specifications aside, the Mi TV 4 remains one the slimmest frameless ultra-thin options when browsing through TV sets, measuring in at a mere 4.9mm on its thickest side. The 55-inch 4K panel runs on Xioami’s PatchWall UI which was recently updated with newer features and sports an AI system that predicts content based on what you’ve watched already. The UI also seamlessly integrates with your set-top-box to offer TV content right off its home screen with support for 15 Indian languages, 500,000 hours of special content in collaboration with streaming content providers. While it’s perhaps a little too early to claim that Samsung’s budget TVs are being washed out and has lost its charm to please the crowd, what’s clear is that it has already enough competition from early 4K players in the business. These new entrants not only pose a threat to Samsung’s entry-level market but offer a lot more for a lesser price point. Although, Samsung’s high-end products like the latest QLED range can be market disrupters in the flagship line of things, a decision to still play safe in the market’s most sought-after segment doesn’t appear to be the right one. An answer to this might take weeks, maybe months. But with so much competition around, Samsung would need to pull itself together right away if it does plan to keep hold of its one-third market share in the Indian television business, considering how well these budget TVs have stocked up to its Samsung counterparts.